Finding an awesome place for your wedding day photoshoot is important. Look, we are good enough to make almost any place LOOK magical but by taking you to a magical place for your wedding day photo shoot… you will FEEL magical whilst the camera is working and this will show in the photos. There are lots of great places to do wedding photo shoots in Melbourne… the problem is Melbourne is a big place and we need to find one close to where your reception or ceremony is being held. Why? For your guests to enjoy your wedding, we need to keep them waiting for as little time as possible. You don’t want to rush through your photo shoot – we will need time to ensure we get all the shots you might want… but its not a great plan traveling to far flung locations unless there is no alternative.” That’s where we come in. 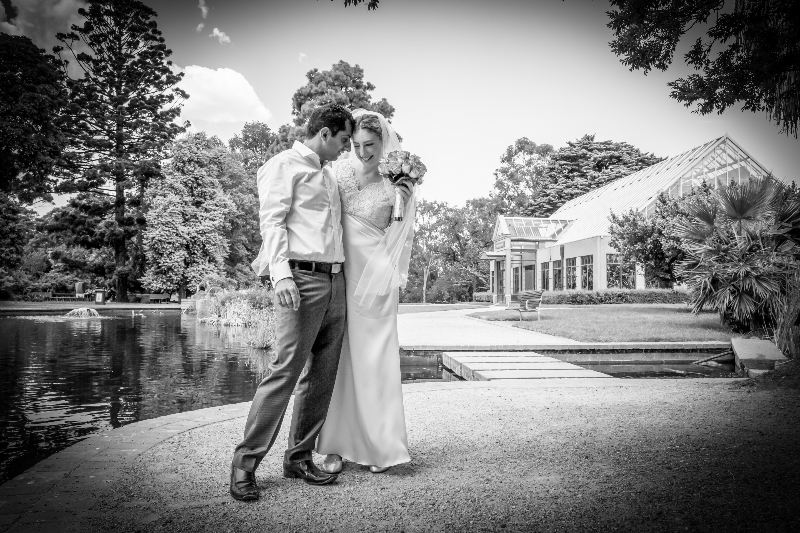 At Nova Photography, we spend a lot of time scouting the best area of Melbourne for photo shoots, and no matter where your reception is to be held, we likely know of a good place. If we don’t? As soon as you book us in, we’ll go hunting for one. Of course if you have a location in mind tell us your ideas too! Either way, we’ll make sure your wedding day photo shoot is shot in a magical location and Uncle Barry will still be in good shape when you arrive for the reception.